At Green Brothers Racing we pride ourselves on having the most qualified and experienced staff. Peter has a wealth of experience in horse management. 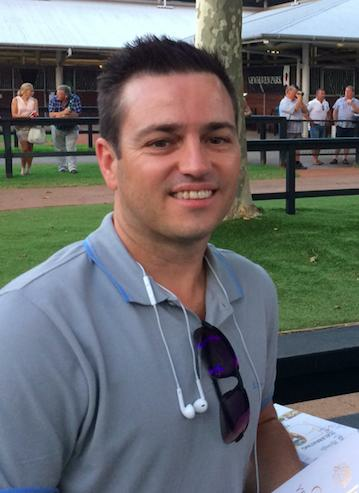 With over 15 years’ experience in Harness Racing as a Trainer, Driver and Racing Steward, Peter is well equipped to lead our Stable. Within months Peter has already started to build a profile in the Thoroughbred industry through years of connections and the immaculate presentation of his current crop of already at the race track. Clint is the Business Manager covering all responsibilities away from the Stables. Clint has over 15 years of corporate business experience working for two of Australia’s biggest beverage companies, Coca-Cola Amatil and Lion Pty Ltd. Clint has led various customer centric roles for over 10 years and is looking forward to bringing his passion of customer service and thoroughbred racing together with the goal of providing a fantastic experience for our owners. Sim is making a name for herself as an up-and-coming apprentice jockey. Her work ethic and drive to succeed has her traveling as far as Armidale and Alice Springs to get as many rides as possible. Simone has been doing track work riding for many years and rides our horses daily, her experiences gives Pete a very good guide as to how the horses feel after each gallop.